Pope Francis has urgently appealed for food aid to help millions of South Sudanese “condemned to death by hunger”. His plea followed the United Nation’s declaration of famine in the stricken country, with 275,000 children severely malnourished and more than 5 million people urgently in need of food and agricultural assistance. The brutal combination of civil war, a collapsing economy and drought have brought communities already living on the brink to their knees. Many were unable to harvest last August and September due to food insecurity, and the second planting season due in April is now threatened. In its first official famine declaration since the crisis in Somalia in 2011, when 250,000 people died, the UN has joined the South Sudanese government to announce famine in Unity State. This follows a warning issued last week by the World Food Programme that 20 million people across Africa may be facing famine over the next six months. Irish Caritas agency Trocaire’s Head of International Division Sean Farrell has just returned from the region. As he reports, with their stocks of grain long gone, people are being reduced to foraging for wild leaves in the forest. Even these are fast disappearing. Trócaire repaired a bore hole recently in the village of Adior, Adior County, South Sudan. It was 20 years old and broken down. It saves people walking long distances. Trocaire also put in latrines for community use. Credit: Sean Farrell/Trocaire. 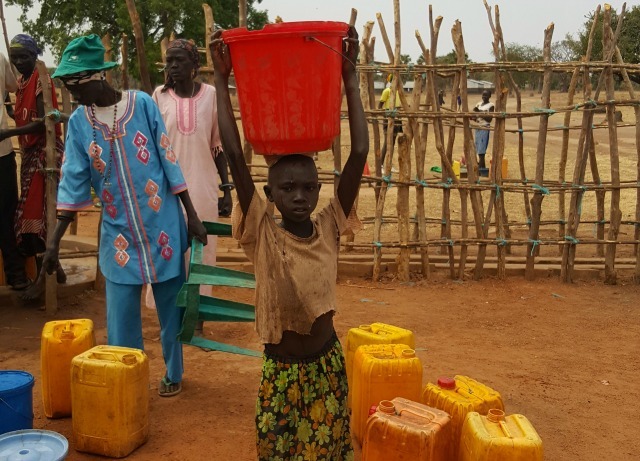 Caritas South Sudan reports that “access to basic services such as food, water, shelter and protection remains dire and there is a lack of good sanitation”. Caritas and local churches are responding to immediate disaster needs of their local communities as well as the displaced people who arrive daily. Across the dioceses of Yei, Torit, Wau and Juba, nearly 22,000 vulnerable people including children have been sheltered from fighting in church compounds. Caritas South Sudan is working in committees with local people to provide and coordinate assistance focused on food, water, sanitation and shelter. Caritas is also supporting people with the wider issues thrown up by the insecurity, overcrowding and hunger, such as the large number of lone children, women affected by or at risk of gender-based violence, and an entire population psychologically affected by trauma. Peace-building efforts continue. 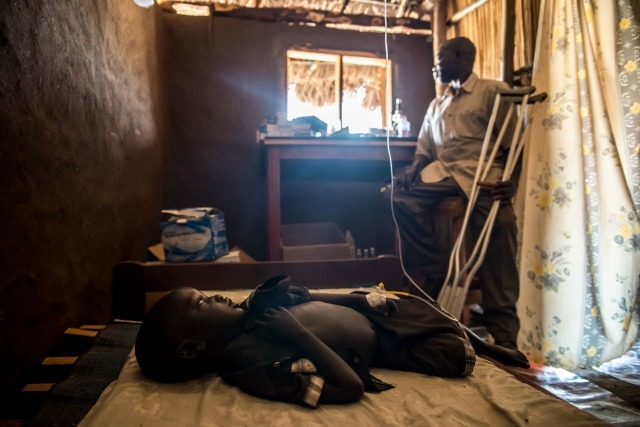 The almost constant fighting in South Sudan since 2013 has caused human suffering on a dreadful scale. Accounts of atrocities are widespread, as rival militias roam the fledgling state shooting, looting and burning. Delivering aid is fraught with difficulty, with humanitarian supplies being looted by militias and aid workers threatened by the conflict. “Caritas Internationalis calls on all parties to the conflict to stop the fighting and immediately allow unimpeded and safe access to humanitarian actors to reach the affected populations with food and essential humanitarian assistance,” says Secretary General Michel Roy. The UN estimates that over 3.4 million people, nearly a third of the population, have been forced from their homes since the conflict began. Nearly 2 million are displaced – still in the country but without their homes and farms – while the rest are refugees in neighbouring countries. 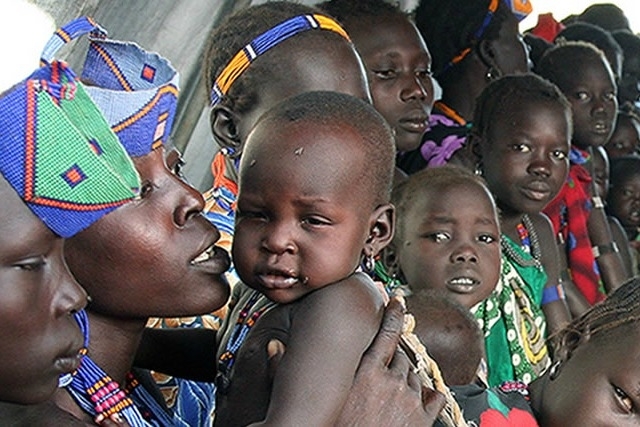 The Caritas network is active in assisting refugees from South Sudan. Caritas Uganda raised appeal funds to deliver emergency assistance at Bidi Bidi refugee camp which has sprung up in the last seven months in northern Uganda, and is now the second biggest refugee camp in the world, with upwards of 270,000 South Sudanese who have fled for their lives.